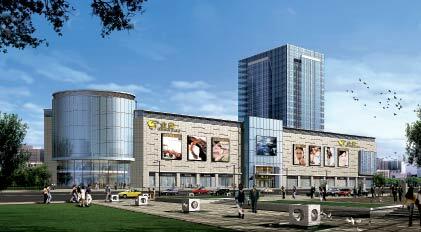 Golden Eagle Huai’an Store situated at the urban commercial centre at No.130 Huai Hai East Road with Gross Floor Area of 55,768 sq.m. and was in trial operation on 28 August 2008. It accommodated department store, catering and beauty treatment center etc and attracted a number of international and domestic fashion brands presence. The high-end new store and its diversified merchandise mix bring brand new lifestyle and shopping experience to people in Huai’an. As at 31 December 2018, the GSP of Huai’an Store reached RMB426 million in the full year.